Have you heard this new song from School Of Seven Bells? Check out “Ablaze”, from the their final album titled SVIIB (to be released February 26th on Full Time Hobby (UK) and Vagrant Records (US)). Members Alejandra Deheza and Benjamin Curtis started writing SVIIB during the summer of 2012 before Curtis was diagnosed with a rare form of T-Cell Lymphoblastic Lymphoma. He continued working and writing music even from his hospital bed, before eventually passing away on December 2013 at the age of 35. In 2014 Deheza moved to Los Angeles to complete work on the record with producer Justin Meldal-Johnsen (Beck, Nine Inch Nails, M83) where it was finished within a month and a half. Even though Alejandra and Benjamin were no longer a couple when working on the album, the songs were written as a kind of chronicle of their enduring friendship and relationship. Take a listen to “Ablaze”. Wouldn’t the coolest thing about being a band be having videos like this made for and sent to you? 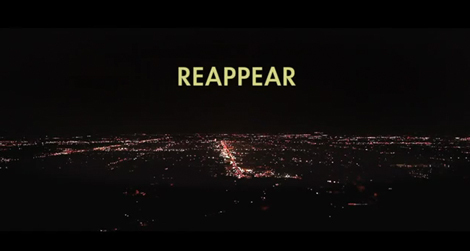 “Reappear” by School Of Seven Bells (Fan Generated Video). Directed by Fernando Vallejo. “Lafaye” by School Of Seven Bells, from the album Ghostory.